A small, but important change of name has occurred: this SIG is no longer called SS4SG (Social Simulation 4 Serious Games), but SSSG: Social Simulation and Serious Games. We chose to do so because the ‘4’ implied that the collaboration between the fields of social simulation and serious games is only a one-way relation; of course, it’s meant to be a bi-directional relation! Therefore, we replaced the ‘4’ with an ‘and’. Soon, changes will be made in the website and mailing list that will reflect this and we will make sure the transition won’t cause any problems. I am pleased to announce that our first event, a special track at the 2014 ESSA conference, was a success. 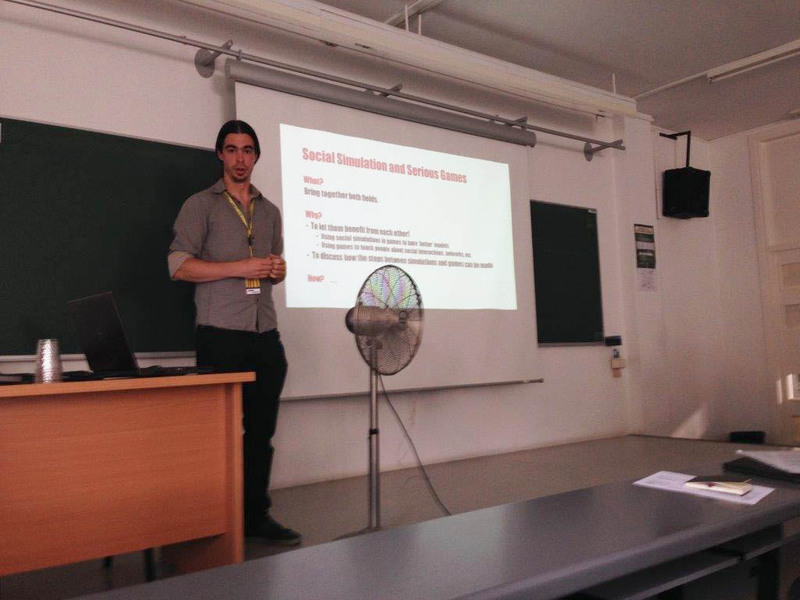 About 30 people from the social simulation community showed up and showed great interest in the issues we are trying to tackle, which was apparent from the lively discussion we had after Alexander Verbraeck’s talk. It became clear that we definitely need more such sessions to let people from the different communities come to an understanding in such a way that they can collaborate. Therefore we hope we will meet again the next ESSA conference in Groningen! In the meantime, we are working on ideas to organize more events at relevant conferences, like ISAGA 2015, as well, so updates about that will appear here as well.